CMMG Will be chambering the new .224 Valkyrie in the Mk4 DTR2 AR15. In a press release sent out this morning, CMMG confirmed many rumors about them offering a rifle in this new round. We look forward to shooting this new rifle during the 2018 SHOT Show in Las Vegas on January 22, 2018. We will report our initial thoughts as soon as we are able. Boonville, MO–Known for delivering innovative, practical products to market, CMMG continues to live up to its reputation with the release of the new Mk4 DTR2 rifle, chambered in 224 Valkyrie. Federal Premium introduced the 224 Valkyrie cartridge in December 2017. Its purpose is to deliver exceptional long-range performance that is comparable to 6.5 Creedmoor, but out of a smaller, AR15-sized caliber. The 224 Valkyrie is designed to be an incredibly flat-shooting round by achieving supersonic velocities out to 1,300 yards. 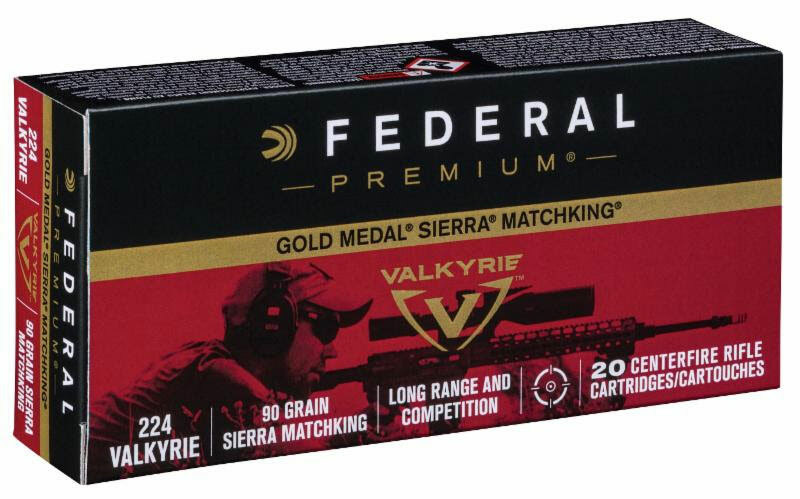 With the added benefits of minimal recoil and an affordable price point, 224 Valkyrie has the potential to be the go-to cartridge of long-range shooters for years to come. Recognizing this potential, CMMG’s engineers quickly went to work developing a rifle that would maximize the effectiveness of the 224 Valkyrie and meet the needs of long-range shooters straight out of the box. The result is the Mk4 DTR2. Additionally, CMMG has outfitted this new rifle with an RML14 M-LOK hand guard and all-new CMMG Ambi Charging Handle. The Mk4 DTR2 is built on a 7075-T6 AL lower receiver and a forged 7075-T6 AL upper receiver for optimum durability. It ships standard with a 10-round 6.8 SPC magazine and is backed by CMMG’s Lifetime Guarantee. CMMG also offers five different Cerakote colors as an optional upgrade.